You'll likely want to go out with a Key Largo dive shop, or one located in the immediate vicinity if your Florida Keys vacation includes scuba diving Key Largo. No matter what your level of certification is, it's hard not be passionate about scuba diving Key Largo Florida. The clear warm water off the upper chain of islands is full of coral reefs, colorful tropical fish, and a vast variety of shipwrecks. Your Key Largo scuba diving plans can include going as shallow as a few mere feet, or as deep as several hundred. You can scuba dive Key Largo near shore at popular dive sites such as Christ of the Abyss or Cheeca Rocks. If you'd rather, you can also head miles offshore to spectacular Florida Keys dives sites such as Molasses Reef or the Spiegel Grove. 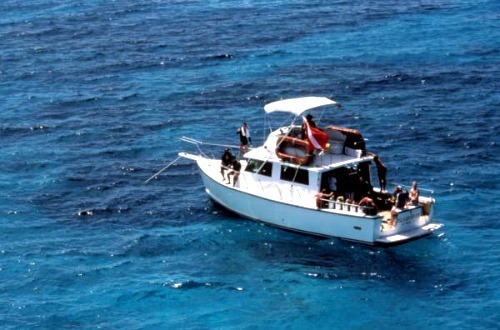 Unless you're highly familiar with scuba diving Florida Keys, and are fully equipped with gear and boat, you'll find that Key Largo dive charters are your best option. A good Key Largo dive shop makes it easy for you to get out and explore the underwater mysteries of the Florida Keys, safer and often cheaper than doing it by yourself. You'll also find that the each Key Largo dive shop specializes in something a bit different. They all have their own favorite even ‘secret' Florida Keys dive sites, and they will likely offer a different twist on services and amenities. 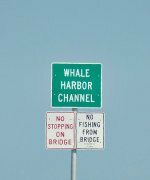 Each Upper Florida Keys or Key Largo dive shop listed below can adequately service your Key Largo diving needs. It's just a matter of you determining which company best matches your Key Largo scuba diving expectations. The following Key Largo dive shop listing is categorized by geography starting at the top of the islands at Key Largo. Under each geographical area you will then find the individual Key Largo dive shop listings which are arranged alphabetically for your convenience. We'd enjoy hearing about your scuba diving Key Largo Florida stories so please use the comment form below. We'd also enjoy hearing which Key Largo dive shop you used, and what your experience was like with that company.